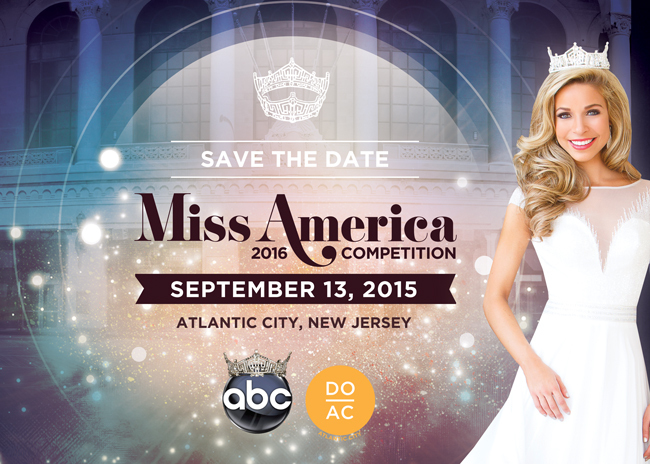 2016 Miss America Competition Save the Dates! to reserve your tickets today. Join the Miss America Class of 2016 in walking the miracle mile on the Atlantic City Boardwalk. Registration information coming soon. Join us at Boardwalk Hall in Atlantic City for the crowning of Miss America 2016. Join us in celebrating the crowning of Miss America 2016 after the competition! Tickets & information coming soon. To receive highlights of Miss America 2015's amazing year of service, information on all of this year's contestants and other exclusive articles, pre-order the 2016 Miss America Competition Magazine! For updates on competition week events and Miss America's journey, join our mailing listhere or visit our website at www.MissAmerica.org. Don't forget to get social! This year the Miss Idaho Organization was able to award over $40,000 in scholarship to the women that competed thanks to donations from our sponsors, local businesses, and advertisements sold by the ladies competing. In addition to the awards listed below there was a Miss Idaho Marketing Incentive given to all the ladies as they sold ad pages. This year we are proud to announce over $13,500 in scholarship will be awarded to contestants who choose to participate. Each contestant who brought in advertising funds will receive 30% back in what they raised.